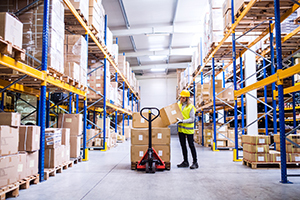 Warehouse accidents like unsafe use of forklifts, improper stacking of products, failure to use proper personal protective equipment (PPE), inadequate fire safety provisions, and repetitive motion injuries can be avoided. In addition to following these guidelines, be sure to use signs and markers as a constant reminder to yourself and your workers to be safe. Keeping your property and workers safe in your warehouse will ensure a more productive workplace.